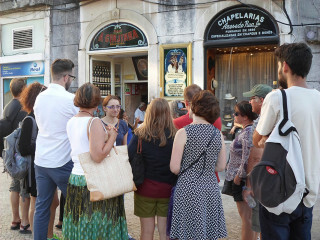 Taste your way through the best of Lisbon's food and wine on a walking tour of sights, smells, and savory stops. Experience the Portuguese culture in the most delicious way possible. Start time is 4:30 pm. There is no age limit for this tour. 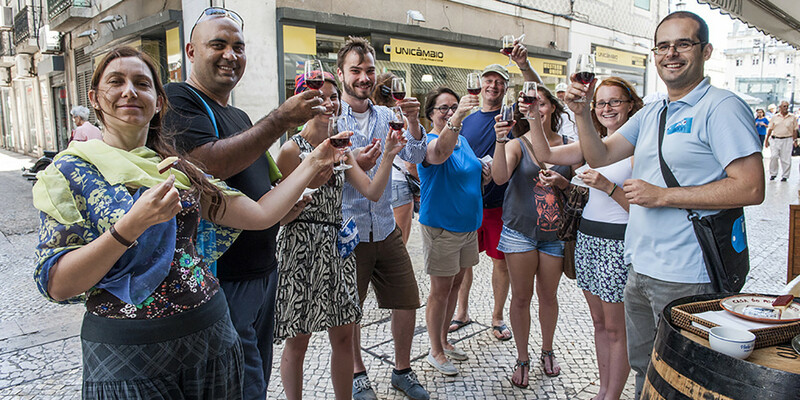 The tour starts at Dom Pedro IV Square (Rossio Square) and finishes at Restauradores Square. Participants should be able to walk/stand for 3 hours, with a few stops throughout. This tour is not available on Dec. 25 or Jan. 1. Lisbon's history stretches back more than 2,700 years. That's almost 3,000 years of evolving cuisine to explore. On a comprehensive 3-hour walking tour, enjoy a full taste of this city's most unique food and wine. 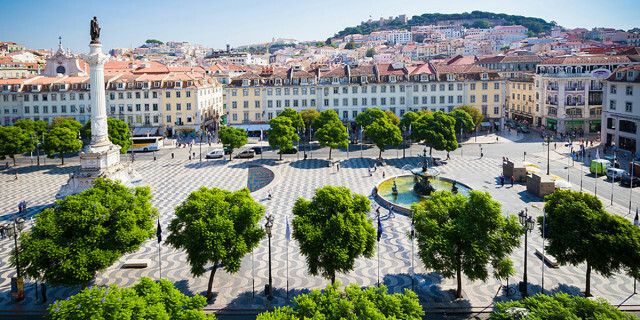 Wander through old squares and neighborhoods to discover the local flavor and history of this charming Portuguese capital. You meet your expert guide to at the Dom Pedro IV Square (Rossio Square) under the statue. Kick off the tour by learning about cafe-culture and the importance of pastry shops like Nicola Cafe. 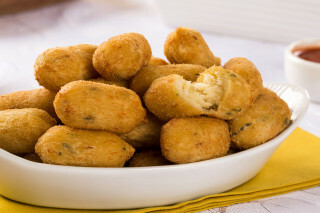 Then, make your first stop of five to try the famous codfish cake with a refreshing glass of vinho verde ("green wine"). Wander through some of the oldest and most stunning parts of the city. 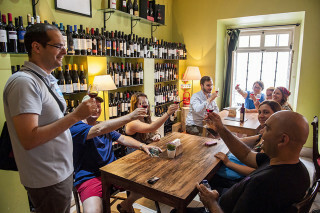 See for yourself in a bar of old-time atmosphere to taste local iconic wine. Continue your wandering as the guide narrates the history and significance of the most famous restaurants in Lisbon. Follow the steps down a hill of lively streets for fascinating urban views. 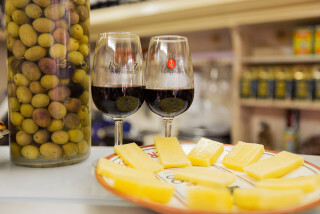 After admiring an old gourmet shop's traditional products like meats, cheeses, and salted bacalhau (cod), you try Portugal's own fortified wine, Port. 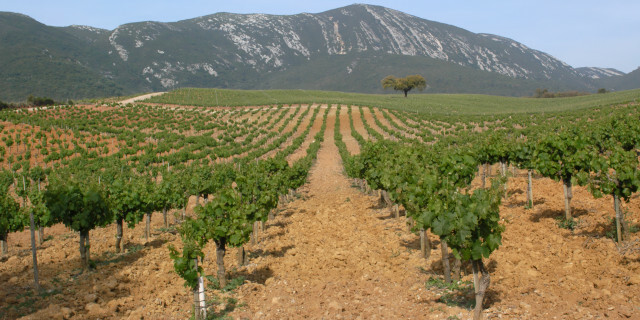 Learn about this famous wine from the nearby Duoro Valley and enjoy your own glass with a sampling of Sao Jorge cheese. Visit the first establishment to sell ginjinha, a cherry liquor that's been a local favorite since 1840. After you've sipped your sweet (and slightly strong) treat, get the guide's insider tips on Portas de Santo Antão Street full of bars and excellent places to eat. The tour ends at an old palace housing one of the most captivating interiors in the city. 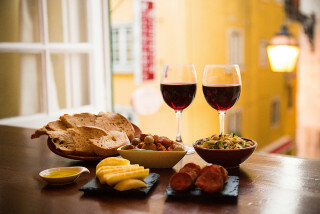 The final tasting offers red wine and a delicious selection of Portuguese bread and chorizo. Take in the Neo-Moorish style as you sip and savor the evening's final tasting. 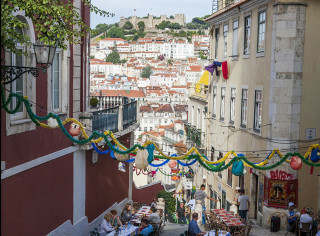 Lisbon's city center is bursting with history and flavors of all kinds. Come with an empty stomach to discover this famous city's rich offering of culture through food and wine. From the old to the new, to the sour to the sweet, this active walking tour covers it all. Step into Portugal's thriving capital and walk the city's streets to discover the best the culture has to offer. Soak in Lisbon's charm on a walking tour through the ancient neighborhoods, historic squares, and lively avenues.